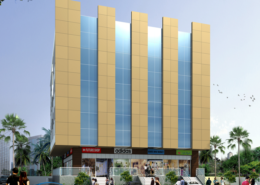 Vrundavan is a Commercial Complex which comprises of Shops & Offices in Kothrud, Pune. It is a flourishing business area with renowned shops & offices around. Vrundavan is strategically located amidst essentials like a petrol pump, restaurants and other necessities. Vrundavan is a locale of convenience attracting to many regular shoppers. Vrundavan is a landmark elevation in the area to mark a distinct presence.